We often overlook the bounty of nature. 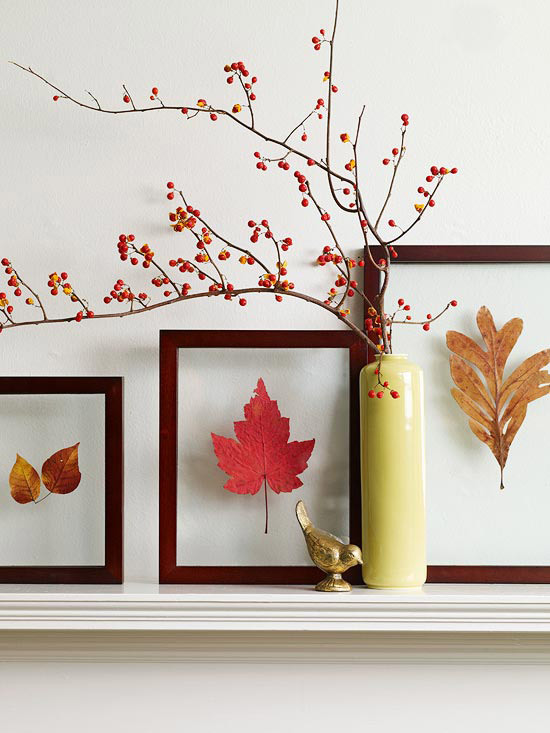 Perhaps to acknowledge this gift of God, we infuse our interiors with natural elements during the Fall season.Incorporate the autumn harvest colours like red, orange and metallic while decorating your home for the season. 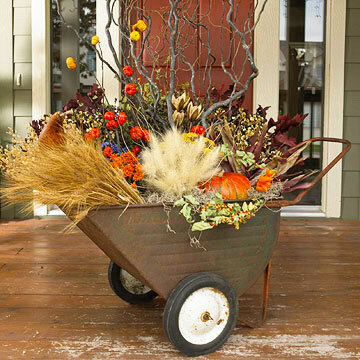 Dried corn, dry branches, leaves, wood, fruits, flowers, vegetables, especially pumpkins, etc are used in imaginative ways both inside and outside the houses for Halloween and Thanksgiving decorations. 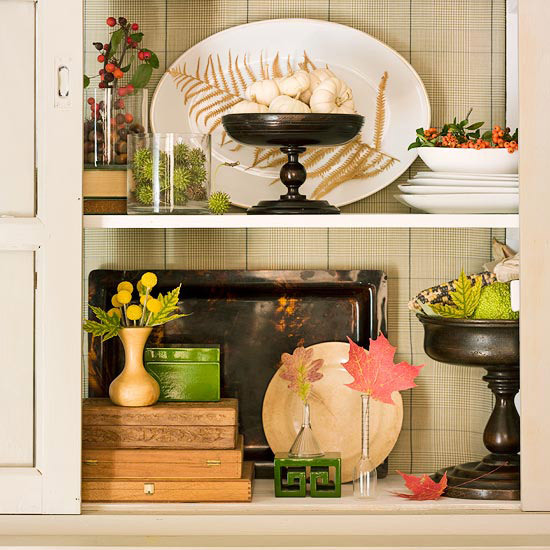 Fall also means decorating with bright hued interior. 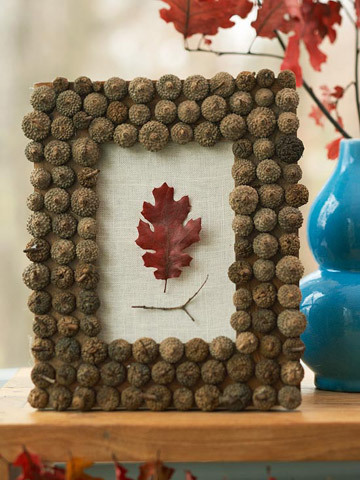 You can collect fallen leaves and foliage from your garden or during your walks in the neighbourhood and press them between books. 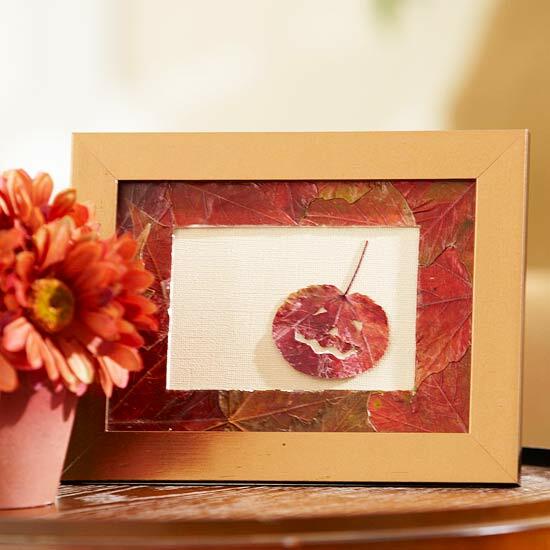 To avoid staining your precious books, use newspapers or other papers inside the book to hold the leaf. 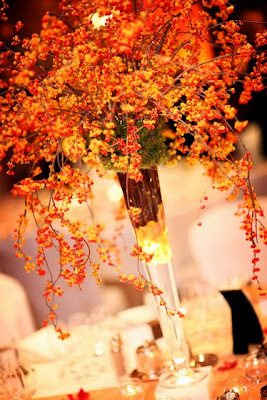 A vase with colourful red, maroon and golden maple leaves; or a bunch of naturally preserved soft Caspia in fiery golden orange will add pops of colour to your space. 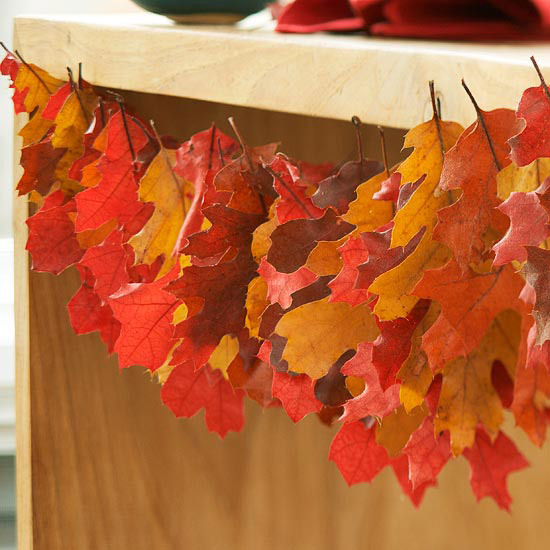 Add a festive look to your room by stringing together some bright freshly plucked oak leaves and hanging them over the door or the mantle. 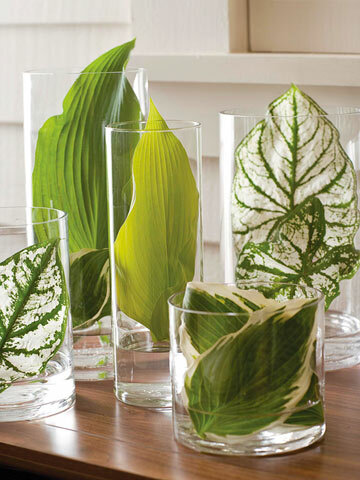 Or simply toss a handful of leaves in a bowl to enhance your coffee table. 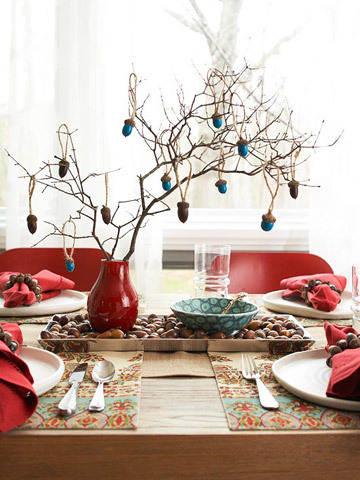 Branches of Bittersweet red and golden berries look ravishing as table décor. 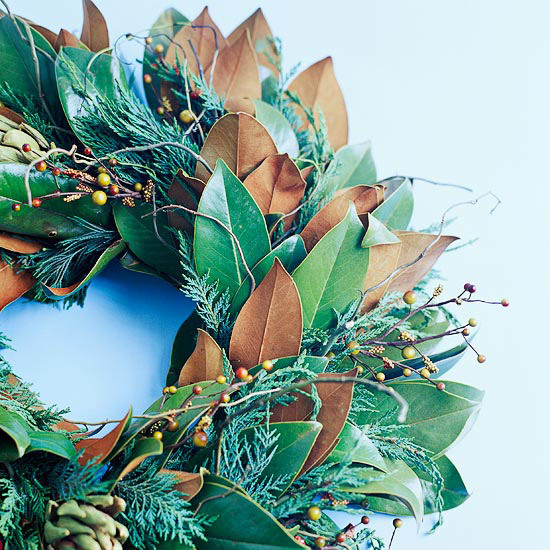 You may even use bleached branches of eucalyptus tree. 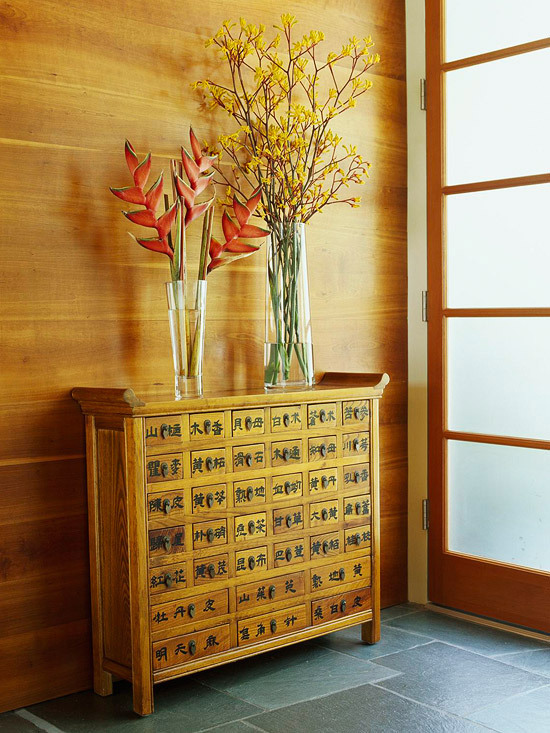 Even branches of blooming French Lavender will add a fresh touch to your interior. 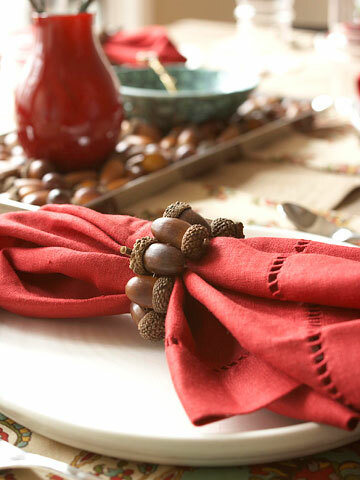 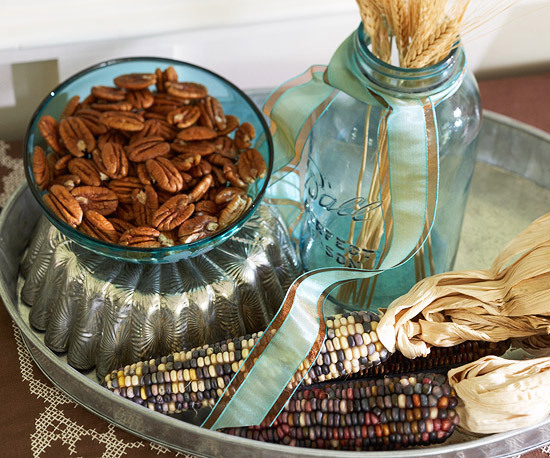 You can even create a centerpiece with painted branches of acorn in a beautiful bright vase and decorated with ornaments. 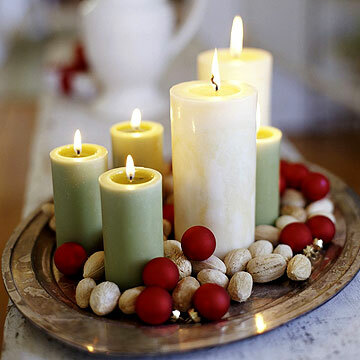 Borrow woody colours from nuts, dark branches, acorns, dry leaves etc and combine them with gold and other metallic shades for a plush look. 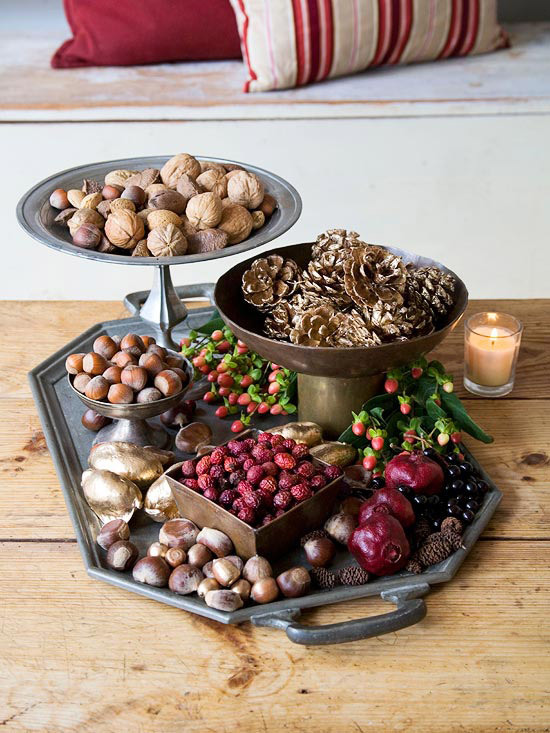 Create a welcoming entrance by combining different elements.Fill silver or copper vases with dried branches in combination with green foliage and soft bright flowers.Place some nuts and berries in stone plates on a console table, in front of an ornamental mirror. 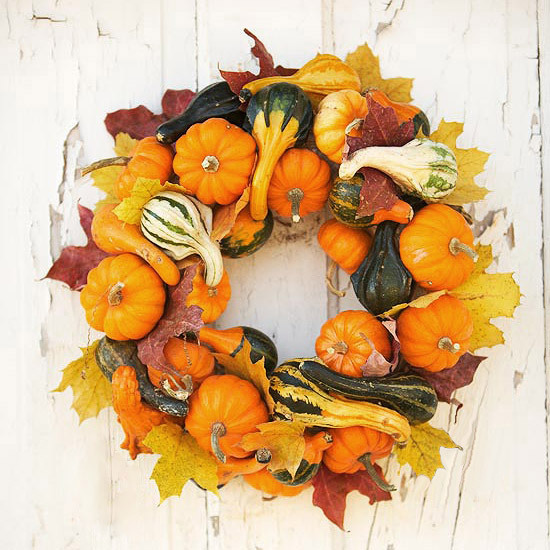 A wreath made of season’s colourful bounty like pumpkins and gourds will add warmth and colour to your front door. 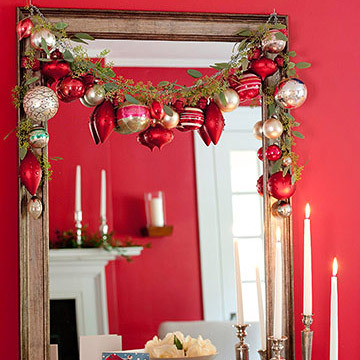 Brighten up your foyer by placing a vase decorated with bright branches of bittersweet or maple in front of a framed ornamental mirror. 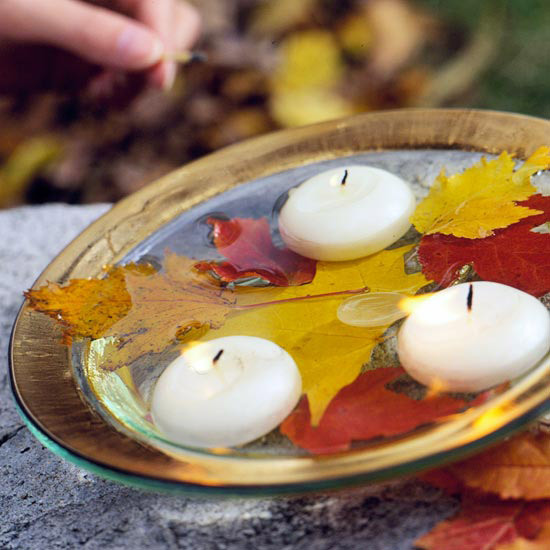 Paint pumpkins with metallic colours and give them height by placing them on tall glass candlestands and overturned decorative utensils. 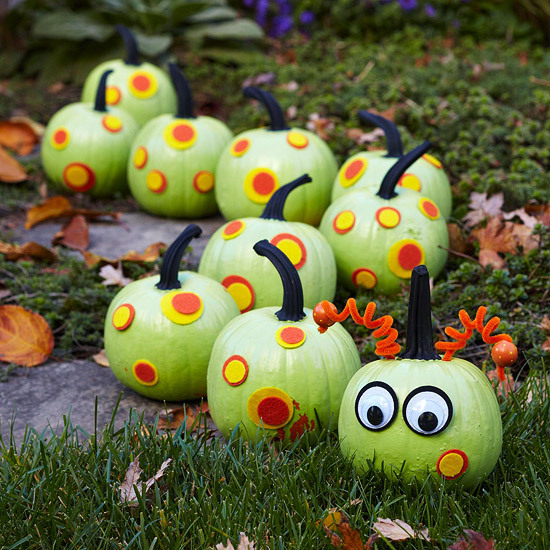 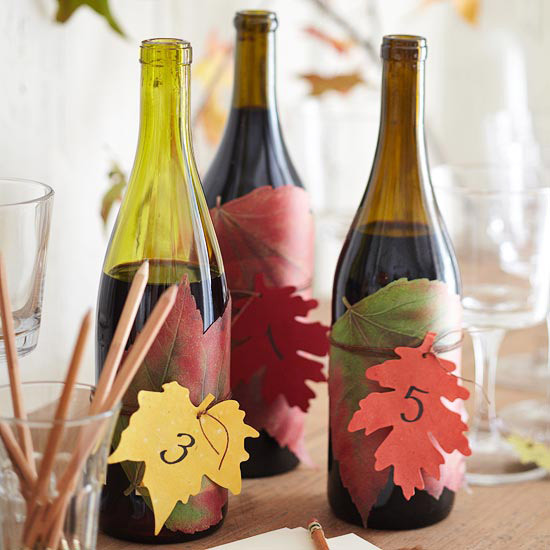 Or decorate them with paints, stencils and other ways to bring in fun and zest. 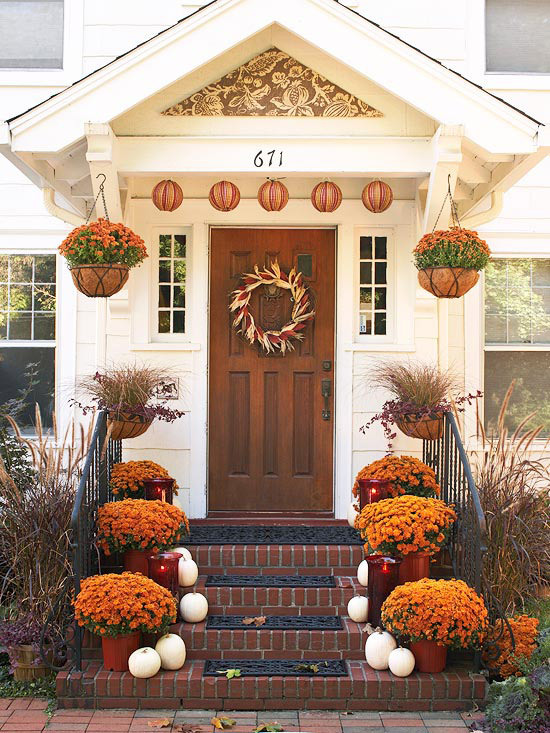 Do not ignore your front yard as these are the places where you will first receive the guests.